If you are interested in opening another pension plan in addition to your company or state plan and are comfortable with investing, then a SIPP (Self-Invested Personal Pension) may be the right choice for you. There are a few benefits of a SIPP, including tax benefits, and flexibility when choosing your plan. One of the main benefits of a SIPP is the increased level of flexibility and control in comparison to other pension schemes. A SIPP is more “hands on” than other pension plans, as you need to actively manage it in regards to what investments you put into it. This means that you are in full control of the decisions involved with your SIPP and how the funds are invested. The pension provider does not make the decisions as to where your money is invested. A SIPP is essentially a “wrapper” around your investments that holds them together until you are ready to retire. Owning a SIPP allows you to hold funds, investment trusts, corporate bonds, shares, and cash all together. 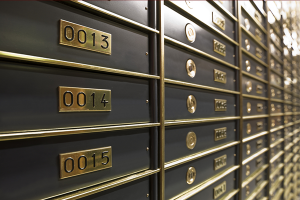 Other investments, such as gold bullion, can also be held in a SIPP, although other charges may be incurred for more niche investments depending on your provider. Just like with any other pension plan, there are additional tax benefits involved with a SIPP. Any personal contributions made, up to the amount that you earn, are given a basic tax relief rate of 20%. This means that if you pay £800 into a SIPP account, the taxman will put in another £200 in order to increase the total up to £1,000. If you are considering opening a SIPP to prepare for retirement, it is important to find the best option for you. It is critical to keep in mind that different companies offer different charges and fees on SIPPs, such as set-up, administrative, transfer, and annual management fees. These fees can affect how much is in your SIPP, and therefore, how much is available to you when you retire. However, if you are interested in having an additional pension plan in place, along with the pension plan available through your employer, opening a SIPP may very well be a good plan for you, especially if you are already comfortable investing.